During my travels throughout Ireland, I have stayed overnight in quite a few places, including hotels, guesthouses, B&Bs and hostels. 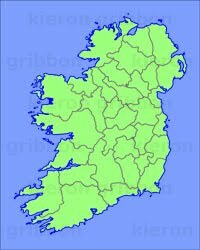 Of all the places I have stayed in Ireland, I have my own personal favourites - these are all marked on the map below. Being based in Belfast, I never require overnight accommodation in Northern Ireland. For this reason, I am currently unable to provide any recommendations for Northern Ireland.